When the elements were discovered (periodic table). This periodic table chronicles the discovery of the chemical elements. The date is given for when an element was first isolated in pure or nearly pure form. In some cases, the existence of an element was suspected or predicted several years or even thousands of years before its purification. You can click on the periodic table or its image link to save or print it. 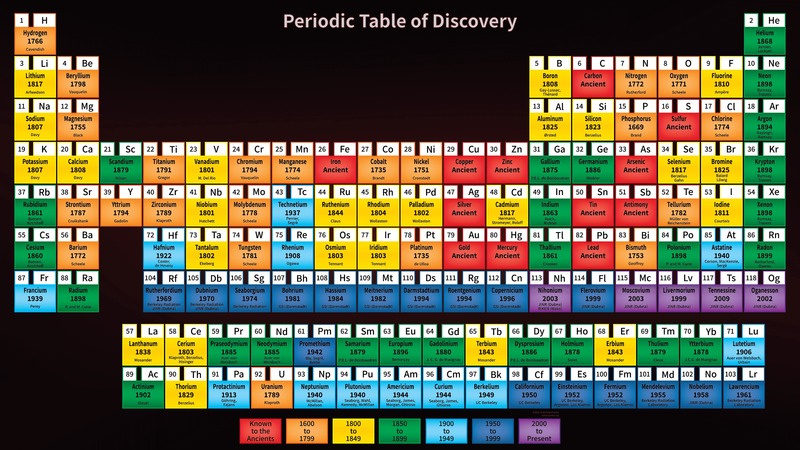 The element discovery periodic table is also available in PDF format. Note sometimes there are two dates for an element, when discovery and isolated were separated. For more recently discovered elements, discovery dates and credit may be hotly disputed even today. Ancient Times: Before 1 A.D.
No new elements discovered in this date range. Will There Be More Elements? The discovery of 118 elements completes the first seven periods of the periodic table, but scientists are working to synthesize new elements. When another discovery is verified, another row (period) will be added to the table. 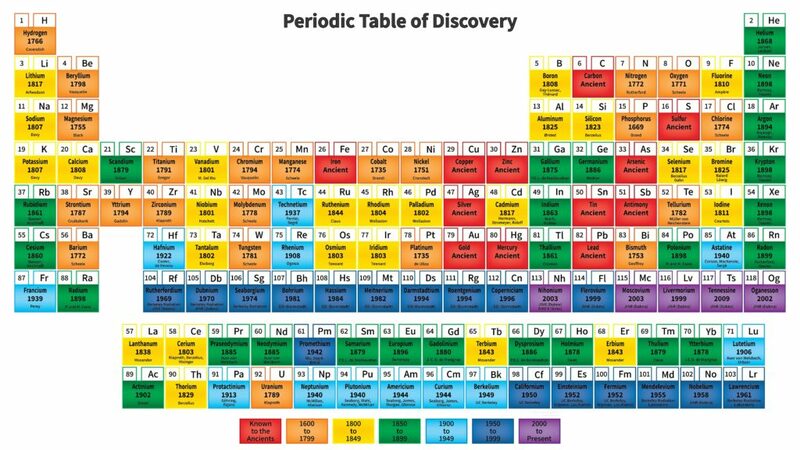 Note: There is an earlier version of the element discovery periodic table, but it doesn’t include the most recently discovered elements.